Terry took this 420 lb. hog at 45 yards using one of Seth's 378 gr. bullets. Please note that Terry has his hand on the hog. 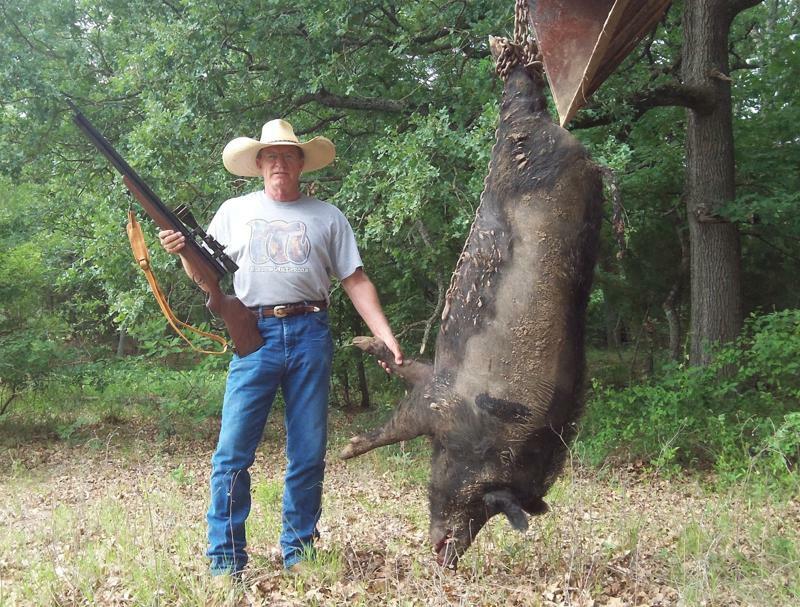 It's not a composed picture where he's standing back 10 feet or so to make the hog look bigger. Terry is left handed, so he has a .458 with a left hand stock, but, being so used to operating a right hand gun, his gun has a right hand action.